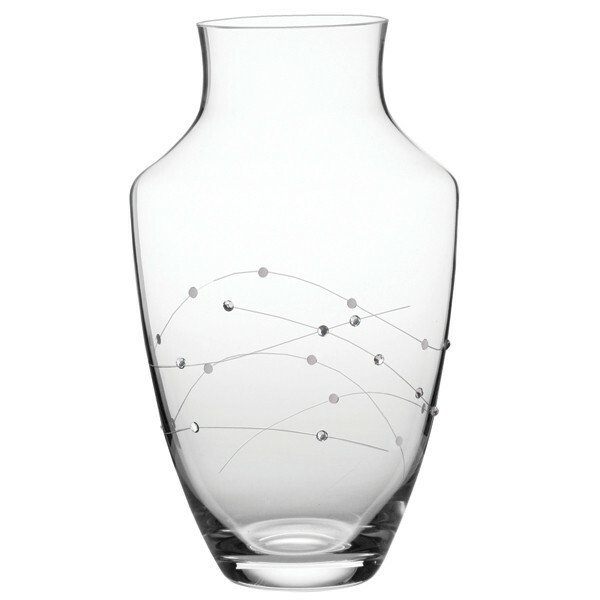 This stunning Royal Scot Crystal Large Urn Vase is part of the Diamanté Giftware collection of contemporary vases all mouth blown to create a unique and glamorous giftware centrepiece. Decorated with Swarovski crystals. Supplied in a stylish black gift box with silver foil blocking.